"We're the ideal firm for your family and every phase of your life." 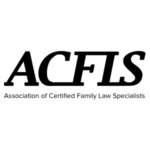 "We have Certified Family Law Specialists to provide an extra level of service." "We're committed to counsel with compassion." "At a difficult time, we provide peace of mind." "Every client gets the collective expertise of our entire legal team." We are ready when you are. Fill out the form below or call us at (626) 788-5225 and our helpful team will return your inquiry shortly. Located in the heart of Pasadena, the Law Offices of Donald P. Schweitzer is one of the most respected legal firms in greater Los Angeles. We offer complete family law services, providing unsurpassed representation in the areas of divorce, domestic violence, and estate planning, which means we can handle any eventuality that may arise in your case—protecting you and your financial future. Supported by today's most advanced legal resources, our responsive, dynamic team gives clients a favorable edge. Our full-service approach lets us provide you with expert advice while shaping a broader strategy that results in the best possible outcome. Call our office to set up a consultation with a member of our team. We have over decades of combined experience and can achieve a satisfactory outcome for your case. Our team consists of dynamic attorneys who are also strong litigators with thousands of hours of courtroom experience. Our firm is AV® Rated by Martindale-Hubbell® for exceptional ethics and skill, and we have been featured in the 2009-15 issues of Pasadena Magazine’s Top Attorneys, proving that our clients and peers recognize us for excellent service and the ability to achieve results. As we are effective advocates who put your best interests first, the Law Offices of Donald P. Schweitzer can help you move forward with confidence. Call (626) 788-5225 to schedule a consultation with a family law attorney in Pasadena, CA. What Sets Our Divorce Lawyers Apart? The collective expertise of specialized attorneys. A commitment to rapid, proactive service. I found the various members of the firm prompt about returning calls, and pro-active about reaching out to me when they had a question, an idea, or some news. I got quick and efficient responses to my questions most of the time, and I found the entire staff very easy to work with and willing to accommodate last minute or urgent items. This firm is outstanding!! They give support while always making sure that you and your loved ones are being protected and informed of all the possible outcomes during your case. I felt cared for and was confident my matter would be resolved in an efficient manner. They are not pushy like most law firms. The way they relate to people makes them standout. They are really dedicated to providing the best possible service to the client. If you didn't know what to do, you found out how to do it. When your world is falling apart, it's wonderful to count on them. Extremely quick with responses…which was completely different than what I had experience with other firms. The firm has a heart. The firm was so helpful and sincere. And I felt very secure when we went to court. Their professional and personal experience combines to make them one of the best in the biz! I found this office to be extremely proactive, and they absolutely did the best job possible. Prompt, professional, and excellent follow up when I had to deal with a contentious divorce. My attorney Patrick Baghdarserians was able to get the cooperation needed and get the judgment finalized in less than a year. Donald Schweitzer's office is very proactive in response to questions or concerns. Not only is Casey a consummate professional but she has the caring and empathy that is so rarely seen in this profession. The best family law attorneys I have had the pleasure to work with. They represented me faithfully while having the utmost professionalism, and having the highest respect for both families and the law. Their expertise was very much appreciated and I owe them a great debt of gratitude. Deborah Soleymani assisted my case in 2014. She was the best female lawyer I ever had. She handled all my concerns and issues on time, had the intelligence and compassion to follow through every step of the way and very straight forward with the answers I need to hear. I wish you the best in your career. My best regards to Atty Schweitzer as well. God bless you both! The organizing steps, the thorough follow-ups, the perfect court preparations, the honesty and the flawless professionalism: attorney Deborah Soleymani is one of the shining stars in Law Offices of Donald P. Schweitzer. I was very pleased with her service, and I am proud of Mr. Schweitzer having her working for his firm, with more success to come. Excellent every step of the way. Highly recommend. The Law Offices of Donald P. Schweitzer helped me enormously in my case. Donald P. Schweitzer listened to my case, explained what lies ahead of us and paired me with Lawyer Deborah Soleymani. She was organized, transparent and always on my side. She got the results I wanted. The entire team has gone above and beyond to make sure I've been well represented and taken care of. 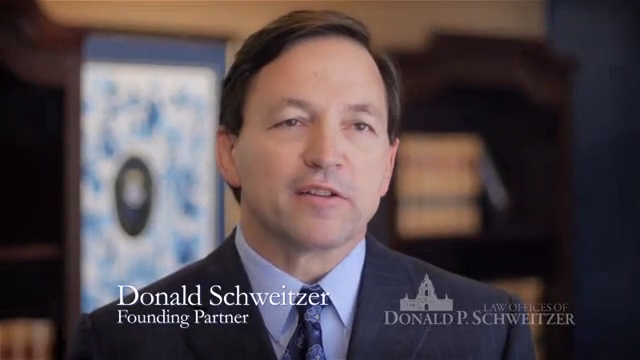 The Law Offices of Donald P. Schweitzer is a one-stop-shop! Divorce is incredibly difficult and mine has certainly been one for the record books, however I have the best "dream team" one could ask for. Thank you to each and every one of you! One of the strongest aspects of the firm was Ali and her knowledge and compassion. She was truly a blessing in handling our legal needs. I would like to thank the law offices of Donald P. Schweitzer for their great customer service . I would especially like to thank Deborah Soleyman, for helping me during my divorce. I knew I could trust her. She always gave me excellent representation. Thank you for being a part of my new life. One of the strongest aspects of the firm was Ali and her knowledge and compassion. She was truly a blessing in handling our legal needs. I look forward to working with her in the future. I was extremely happy with how quickly everything moved along! All business is handled in an efficient and professional manner. It is obvious that Deborah cared about my case and the desired results, which were ultimately achieved. Thanks for everything. We will be sure to use your services in the future if anything arises. This was a matter of updating our family trust. The lawyer was very friendly and efficient. The strongest aspect of the firm is doing their best to service their clients. This firm was classy and had great follow through. They were a pleasure to work with.